In a large saucepan, whisk flour, and sugar together. Add 4 egg yolks and a scant 3 tablespoons of the milk, whisk until well combined. Add the remaining milk and vanilla pod (if using). Stir over medium heat until it thickens, you need to stir it constantly or lumps will form on the bottom. When it’s the consistency of a soft pudding, with bubbles blobbing up, remove from heat. Stir in the butter until melted (and the vanilla extract, if you didn’t use a vanilla bean). Pour the pastry cream into a bowl and cover with plastic wrap pressed down to the surface, to prevent the cream from forming a skin. Refrigerate until cold, at least 2 hours. Adjust rack to middle of oven and heat to 425 degrees. Line a cookie sheet with parchment paper, set aside. 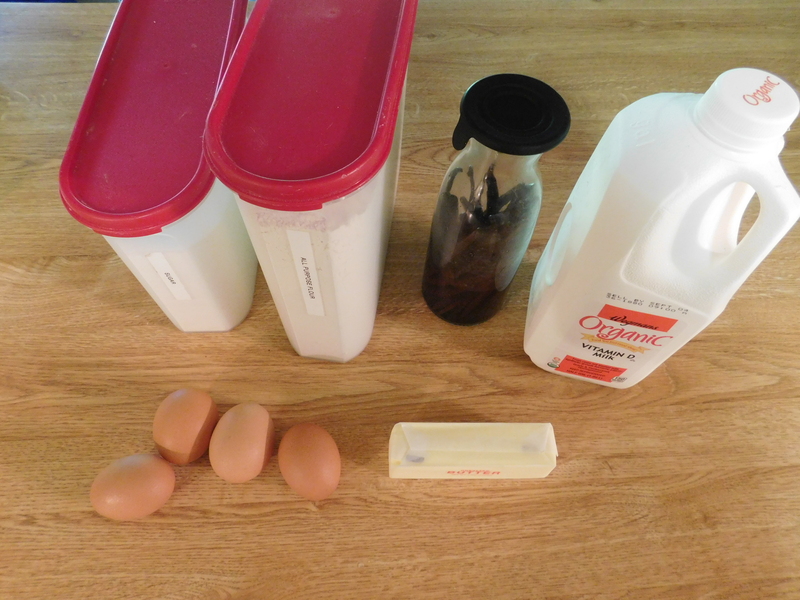 Beat eggs and egg white together in a small bowl and pour into a half cup measure. Discard anything more than half a cup. Bring butter, milk, water, sugar, and salt to boil over medium heat in a saucepan, stirring once or twice. When mixture is at a full boil (butter has melted), immediately remove from heat and stir in the flour with a wooden spoon until combined and mixture comes together into a very soft dough. Return saucepan to low heat and cook, stirring constantly with a smearing motion, for 3 minutes. Mixture will be slightly shiny and tiny beads of oil will appear on the bottom of the saucepan. Remove pan from heat and stir vigorously with the wooden spoon for 30 seconds or so, to cool slightly. Add the eggs a third at a time, pouring in one third, then mixing well, adding another third, etc. When all eggs have been incorporated stir the choux vigorously until thick and sticky, about 30 more seconds. 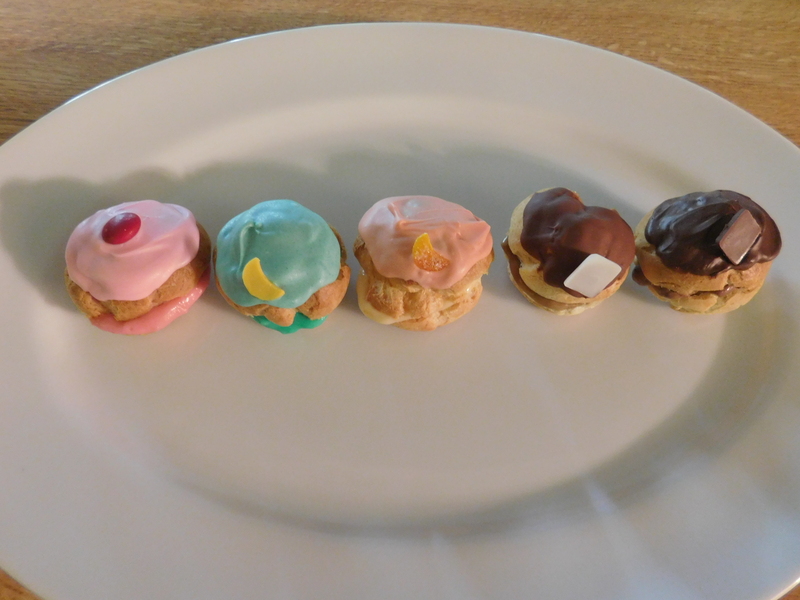 Spoon choux dough into a piping bag with a round half inch tip, once all the dough is added to the bag lay the bag on the counter and run the side of your hand along the outside to push all the dough down to the tip. Twist the top of the bag and pipe the choux dough onto the cookie sheet in 1 1/2 inch blobs, you can fit about 24 of these onto your cookie sheet. They’ll have peaks on top but if you dip a finger lightly in water you can easily smooth them into rounds. Bake the choux for 15 minutes (do not open the oven in this stage- they need a lot of heat to become puffs) and then reduce the temperature to 375 degrees, until golden brown and firm. This should take 10 more minutes but if your oven runs hot like mine, check them after 2 minutes (mine were done then). Remove the cookie sheet from the oven, cut slits in the sides of all the puffs with a small knife to help release steam, and return the sheet to the oven. (Make sure the oven is OFF!) Use a wooden spoon handle to prop open the oven door a crack, and let the puffs dry in the warm oven for 45 minutes. 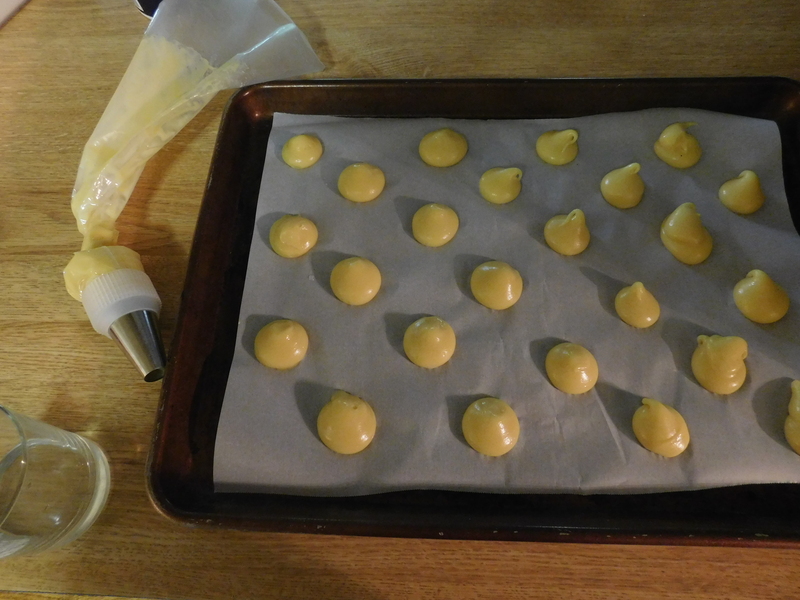 Transfer the choux puffs to a wire rack to cool. 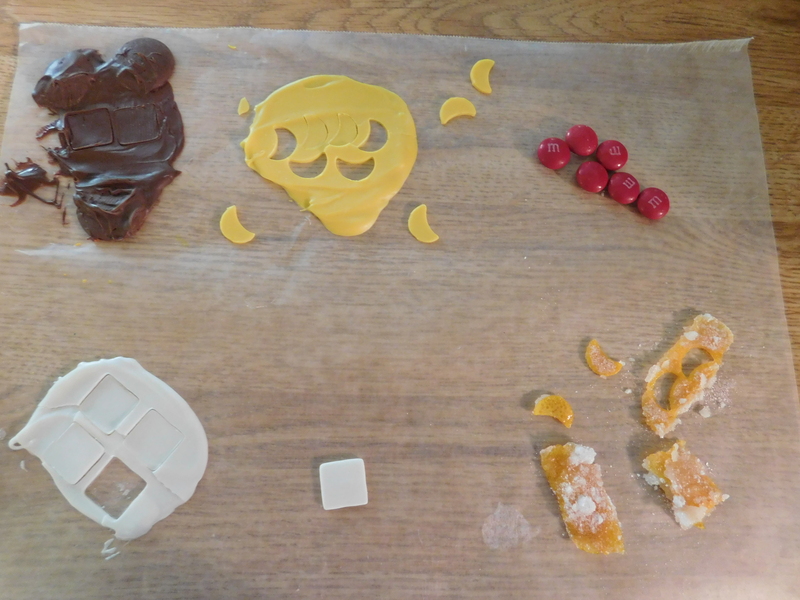 Melt a few candy melts in the microwave and smear a thin layer on wax paper. The spice decoration is dark chocolate cut with a square cutter, mocha is white candy also square cut, mint is white candy melt tinted yellow and cut with a moon shaped cutter, citrus is the sugared orange peel cut with the moon cutter, and sweet is a red M&M. Divide the pastry cream among 5 bowls, and flavor each bowl with the extracts and spices listed in ingredients. Mix in food coloring one drop at a time until you get a color you like- pink for sweet (it will already be speckled light pink from the powdered strawberry), green for mint, orange for citrus. You can add brown coloring to the mocha and spice creams but I thought they looked fine without it. Taste the creams and add more flavoring if you like. Using a small knife, cut each puff in half (they will be hollow). Melt the chocolate candy melts in the microwave and spread a little milk/dark chocolate on the top half of each puff that will be mocha or spice. 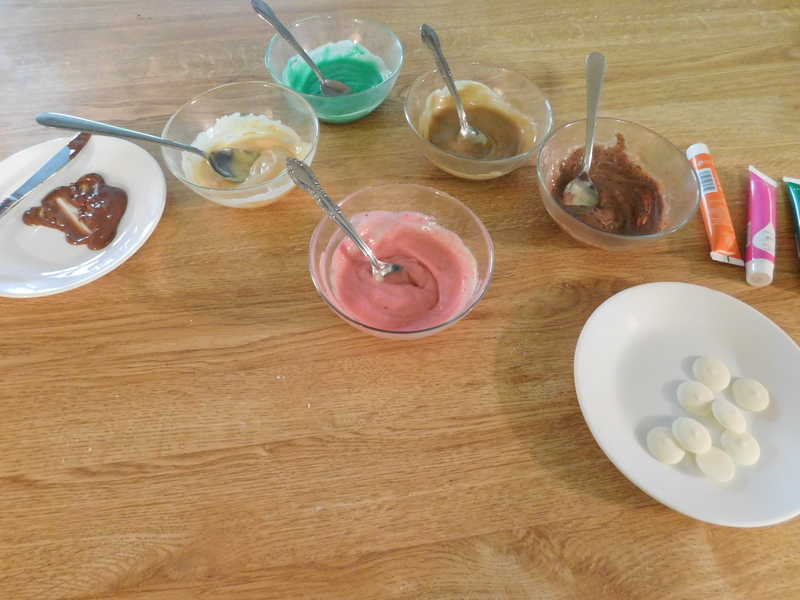 Melt the white candy melts in small cups so you can add a drop of food coloring gel once they’re melted, and mix to make the correct colors. Spread the colored candy on the top halves of the puffs- pink, orange, and green. When the candy has almost set, add the decoration on top to “glue” it in place. Let the puff tops dry. Add a heaping spoonful of pastry cream into each puff, press the top lightly into place, and enjoy! Your fullness has increased by 50, and your affection by +4! This recipe makes the “fancy” version of Poké Puffs, for the “basic” version you can just leave off the decorations. “Frosted” and “deluxe” look like something you could achieve with colored whipped cream in a piping bag with a star tip, if you’re feeling up to the challenge. The decorations for the sweet and citrus puffs look like a tiny cherry and orange slice respectively, so you might be able to find a more accurate solution than I did, maybe with other candies or gummies. The plain choux puffs and pastry cream can be made ahead and stored for a few days, but don’t put the puffs together until just before serving or they’ll get soft and chewy. 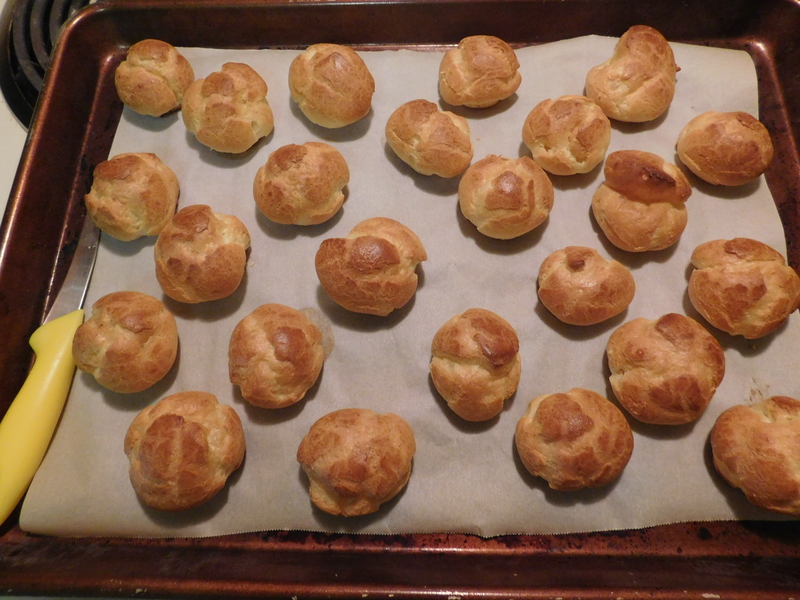 If you don’t want to make the pastry cream, these types of choux puffs are often filled with ice cream. In honor of his birthday (July 31st), here’s Harry Potter’s favorite dessert. Place the flour in a large bowl and cut in the butter with a pastry cutter, or rub in with your fingers if it’s soft enough, until the mixture reaches the consistency of soft breadcrumbs. (You can also do this in a food processor.) Mix in 3 tablespoons of water to make the mixture into a firm dough. 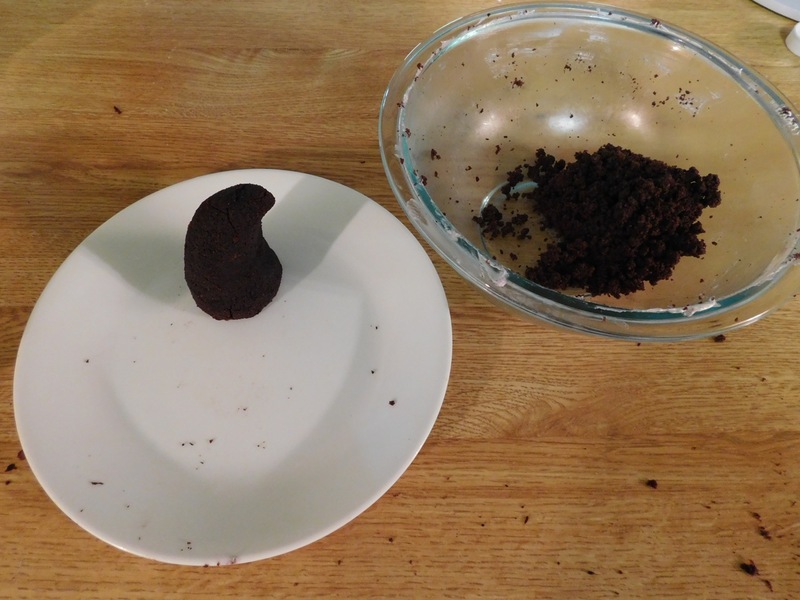 You may find it’s too crumbly and you need to add another tablespoon (I did), but add extra water gradually, mixing it in, because if you add too much the dough will be very sticky and hard to work with. Wrap the dough in plastic wrap and chill it in the fridge for 20 minutes. Preheat the oven to 400F and put a cookie sheet on a rack in the middle to heat. Grease an 8 inch loose-bottom tart pan. Pull about 6 oz of dough from the chilled dough ball and leave it in the fridge. Take the larger portion of dough out and roll it with a rolling pin on a lightly floured work surface, or between two sheets of parchment paper. Roll it into a rough circle about 2 inches larger on all sides than the bottom of your tart pan. Line the pan with the dough circle, pressing it gently across the bottom and up the sides, and into the corners. Let the excess dough hang over the top, then roll your pin over the pan to trim it. Add the trimmings to the dough in the fridge, for your decorations. Prick the base of the tart all over with a fork to help stop air bubbles forming in the oven. Place the tart pan onto the cookie sheet in the oven and bake for 10 minutes to set, it will still be pale. Grind your bread slices in a food processor until they’re fine crumbs. Juice and zest the lemon, taking care to only grate the yellow lemon skin and not the white pith underneath, which is very bitter. Reserve the lemon zest and juice in a small bowl. Remove the tart shell from the oven when the 10 minutes are up and set it aside, leaving the cookie sheet in the oven. In a large saucepan, heat the golden syrup on medium heat until it becomes warm and runny, be careful not to raise it high enough to simmer or boil. Remove the saucepan from heat and add the breadcrumbs (reserve a couple of tablespoons), lemon juice and zest. If the mixture seems very runny, add the reserved breadcrumbs. Pour the syrup mixture into the tart shell to just within 1/4 of the top so it won’t overflow. Make the decorations: Remove the extra dough from the fridge and roll it out about 1/8 inch thick, about the same as the tart shell. Cut shapes from the dough with cookie cutters or a sharp knife, and lay them carefully on top of the warm filling. Press any dough that touches the edge of the shell firmly to the edge. Once you have all the decorations arranged to your liking, beat the egg in a small bowl until the yolk and white are well mixed, then brush the egg wash lightly onto the pastry decorations and all around the perimeter. Use a small clean paintbrush or your fingertip, if the egg drips down the decorations and onto the filling it will leave a little eggy blob on the surface of your pie. Place the tart onto the cookie sheet in the oven and bake for 10 minutes, then reduce the oven temperature to 350F. If the top of the pastry is already browning, cover the tart with foil. Bake the tart another 25-30 minutes at 350F until the pastry is a nice golden brown and the filling seems set. Remove the tart from the oven and cool at least an hour to make sure it’s firm enough to slice. Serve warm or at room temperature. Treacle is a very light grade of molasses, and as such it’s very sweet liquid sugar with a hint of toffee toastiness and a hint of bitterness. I have a strong aversion to bitterness and I’m sorry to say this tart, although made to a traditional recipe and objectively quite sweet, was slightly too bitter for me. This is a reflection only on my own tastes, but if you make it and find it strikes you the same way, in the future you could swap some (maybe a 1/4 cup or so) of the golden syrup out and replace it with honey. It wouldn’t taste the same but you have to adapt recipes to suit your own tastes. Because the filling is cooked sugar with only breadcrumbs to soften the structure, it will get hard and chewy when refrigerated. Just be aware that for serving you’ll want to bring it to room temperature or serve it warm and it will be soft and pie-like again. I decorated my tart with a rough version of the Hogwarts crest, imagining how it might look when served in the Great Hall. It helped me to roll out the dough and press the bottom of the tart pan against it lightly so I could see an outline of the circle I had to work within. I cut strips to divide it into quadrants, used a cookie cutter to make the central lozenge (heraldry term for a diamond shape) and cut an H into it with a small knife. Then I just looked at pictures of the Hogwarts crest while I free-form cut the animals with my knife. If you don’t want to tackle a design like this, a lattice top of woven strips is traditional and very attractive. You could also cut leaves or stars with a small cookie cutter, or add wings to small circles to make a flock of golden snitches. It’s also quite traditional to leave the top of the tart undecorated, so it’s up to you. I served the tart with clotted cream because I barely need an excuse to eat it, but creme fraiche or plain whipped cream would also be nice rich toppings that let the sweetness of the tart shine. If you don’t mind a very sweet dessert, you could serve it with vanilla ice cream or creme anglaise (custard). As soon as I saw this cake in the game, I knew I had to make it. Preheat oven to 350 degrees Farenheit. Grease and flour your cake pans, putting parchment paper circles into the bottom of the pans to prevent sticking, and have 2 cupcake liners ready. 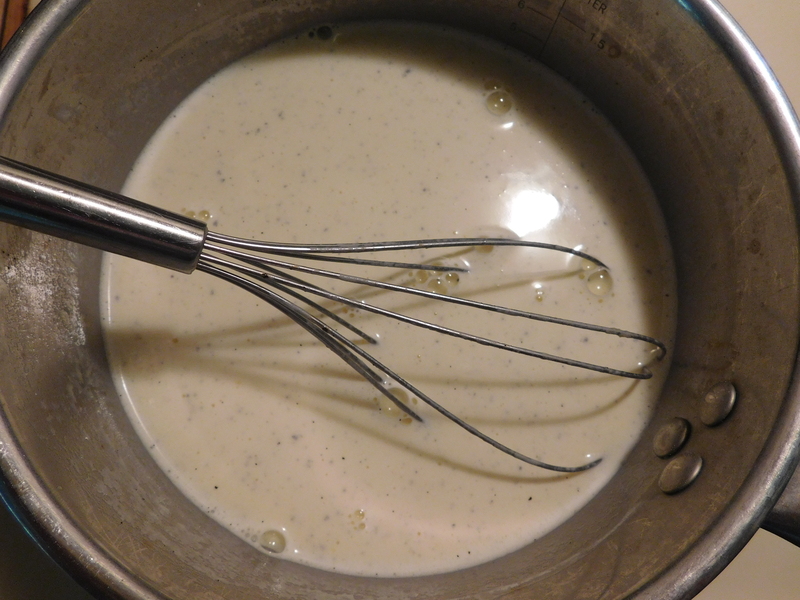 In a standing mixer or using a hand mixer, cream the butter until fluffy. Mix in the sugar, then the eggs one at a time, then mix in the vanilla. Be sure the scrape the sides of the bowl down as needed. In another bowl, sift the flour, cocoa, baking soda and salt together. 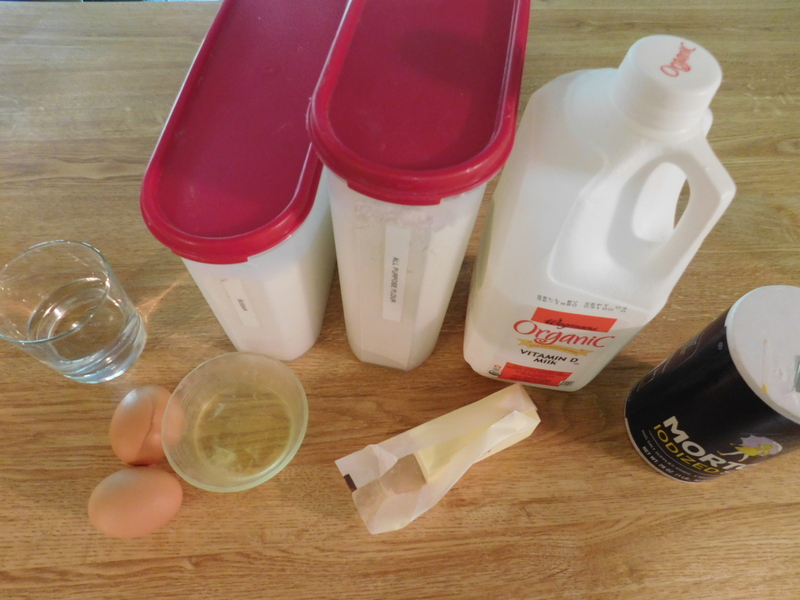 Add 1/3 of the flour mixture to the butter mixture, then 1/3 of the ice water, repeating and mixing after each addition. Transfer the batter to the cake pans, smoothing the tops, and enough to the 2 cupcake liners to fill them halfway. Put the cake pans on the middle oven rack and slide the muffin tray with the 2 cupcakes in it on the rack just below. Bake until the cakes spring back when lightly pressed, and a skewer inserted in the middle comes out clean; 35-40 minutes. The cupcakes will survive but are better if you remember to take them out after 25 minutes. Let the cakes cool in the pans for 10 minutes after removing from the oven, then gently run a knife around the edges and turn the cakes onto a cooling rack. Peel the parchment paper off carefully and turn the cakes right side up to cool if you can, so they keep their shape a little better. The cupcakes can stay in their liners. Once cool, chilling the cakes in the fridge will make cutting them easier; leave the cupcakes at room temperature. Trim the bottom cake layer nice and flat on top and bottom; the top layer can stay slightly rounded. Put any cake trimmings with the cupcakes. Set a saucepan with an inch or so of water on the stove and bring to a gentle simmer. Combine egg whites, sugar, and salt in a heatproof bowl over the saucepan, whisking until the sugar is dissolved (dip your finger in at the edge and see if it feels grainy). Remove the bowl from the heat and whisk it with a standing mixer’s whisk attachment or a hand mixer until it’s glossy white, increased in volume, and completely cooled (the bottom of the bowl will be room temperature when it’s cooled enough); about 10 minutes. 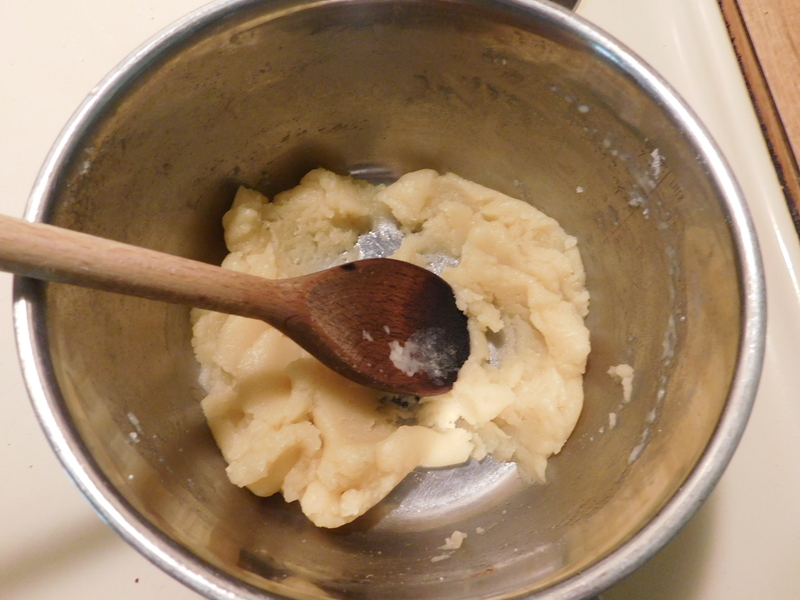 Mix in the softened butter one tablespoon at a time until it’s all mixed in; if it starts to look lumpy just keep mixing and it will smooth out. Mix in the vanilla. Divide the frosting into 2 bowls, about half in each. Add the 3 tablespoons of cocoa powder to one (this gives a subtle chocolate flavor and soft color, feel free to add more) and mix well. 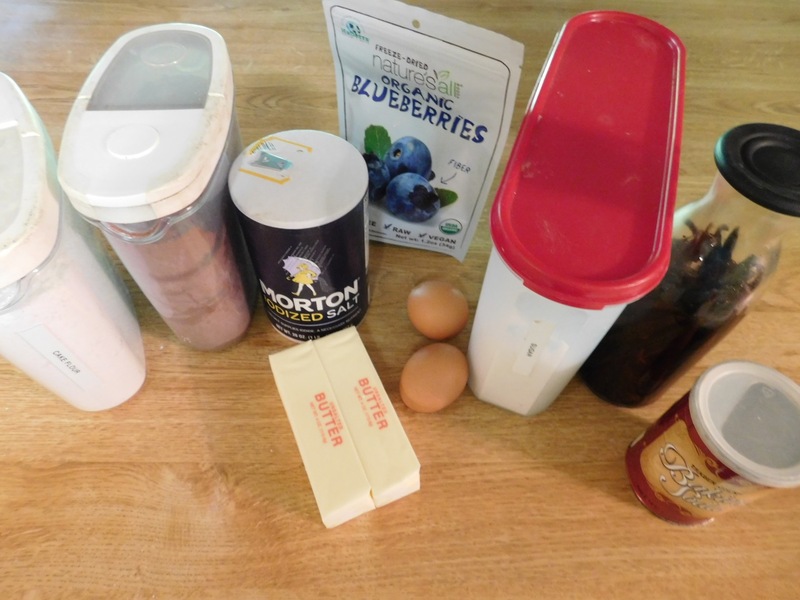 To the other bowl, add your monster extract (blueberry powder) and mix well. 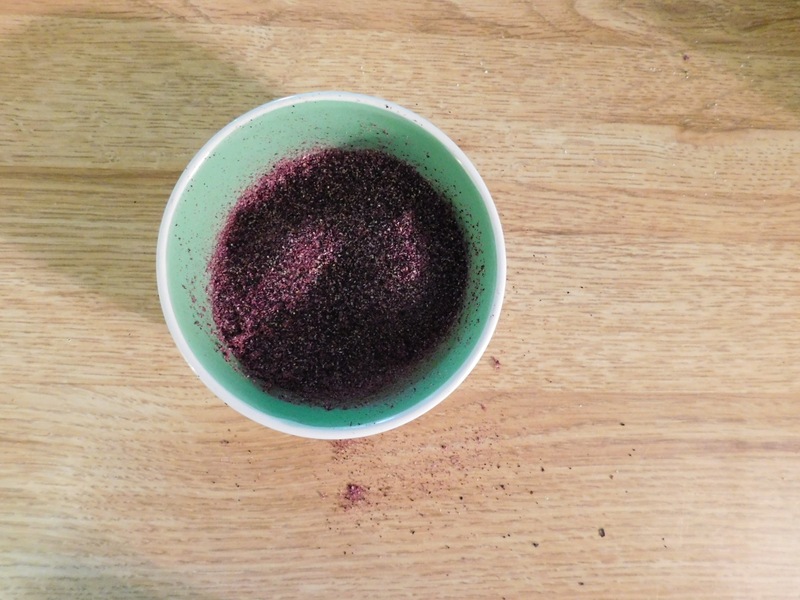 This will naturally give it a pale speckled lavender color, but you can add purple food coloring if you want a brighter color. Remember to add just 2 or 3 drops at a time; food coloring builds in intensity very quickly: You can always add more, but you can’t take it away! If you’d prefer it without the blueberry flavor, you can just add color to the plain frosting to have a purple vanilla. 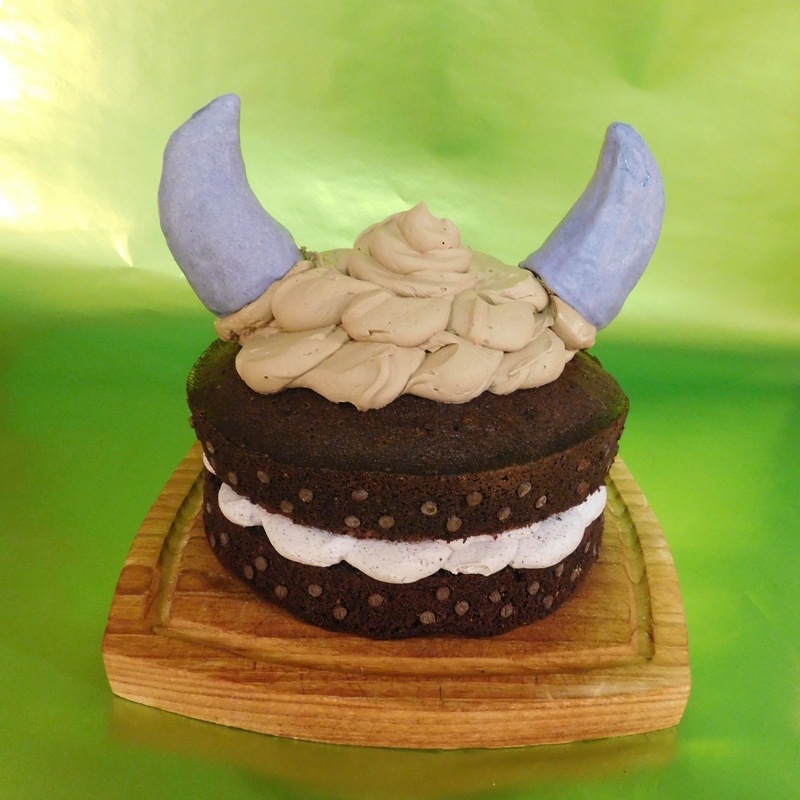 It’s easier to work with the 2 frosting flavors in piping bags, but the look of the Monster Cake is casual enough to do it with a small round knife or spoon. I used piping bags with large round piping tips. Crumble the 2 cupcakes and trimmings gently into a bowl so there aren’t any cake chunks left. Add the chocolate frosting, just one tablespoon at the time, until you get a sort of “dough” that just barely holds together. It’s tempting to add more, but then it’s very hard for the horns to keep their shape. I only used 3 tablespoons of frosting for mine, the mixture clumped together when I pressed it but was still slightly crumbly. Divide your mixture in half and shape each half into a horn! Go slowly and squeeze very lightly, press any cracks back together and try to make them roughly flat on the bottom. Put them on a plate in the freezer for 15 minutes or so. Melt your candy coating in a small bowl in the microwave, or (if your bowl is heatproof) over a saucepan of an inch of water on medium heat, being careful not to get water into the bowl. If your coating is white, now’s the time to add the candy color or gel color, one drop at a time until you get a color you like. The coating should be smooth and not too thick, like hot fudge. If it seems thicker, add half a teaspoon of shortening or coconut oil and see if it thins out. Add more if needed, but remember too much oil will make the coating softer at room temperature. Remove the horns from the freezer and dip a toothpick or lollipop stick into the warm coating, then insert the dipped end into the bottom of the horn. Let it set for a few seconds, then hold the horn by the stick over the bowl and spoon the coating over it until it’s covered (I left the bottom edges plain on mine because you won’t see them). If one coat doesn’t cover all the lumps and bumps, let it set firmly, put them back in the freezer for 5 minutes, then give them a second coat. Make sure they dry fully (you can put a cooling rack up on drinking glasses and rest the horn on the rack with the stick poking through the bottom) and then put them in the fridge. Put the bottom layer on your serving plate and top it with the purple frosting. You can make swirly edges by piping with a round tip in a ruffly circle, then filling in the center as I did, or spreading it on in a scalloped way with a spoon/butter knife. Try to make it as level as possible. Add the top cake layer and press it in place gently. At this point you can keep going or put the cake back in the fridge for half an hour or so, this is just to firm up the purple frosting so you don’t accidentally squish it. When you’re ready, add the chocolate frosting to the top. I piped very large round dots and pressed a knife into the top of each one, dragging towards the center of the cake to approximate the scalloped look. Then I filled in the center between the dots, and added a second smaller circle. I finished it by swirling the last of the frosting over the messy lines in the center. The cake in the game has little round dots on the edges of the cake layers, maybe to show nuts or seeds in the layers, but it would be almost impossible to get those things to bake in exactly the spots you wanted them. I did mine after they were baked and cooled with mini chocolate chips, pressing them pointed side in all along the sides in rough groups of three. These stayed on by themselves but if you’re using something bigger you might want to add a dab of frosting or candy coating to the back as glue. Spear the horns into the cake by their sticks, and you’re done! I made the Monster Cake this way because this is one of my favorite chocolate cakes, one of my favorite buttercreams, and I wanted the decorations to be things I like too (cake pops instead of fondant, for instance). Make a cake you enjoy making and eating, and if that’s one made with mixes and just assembled with a few of my suggestions, that’s great. There’s no such thing as a “real” recipe for this, so be creative! If you wanted something easier for the horns, I think dipped banana halves would work, or shaped Rice Krispie treats, modeling chocolate, fondant, or make them from food-safe craft supplies and just remove them when serving. About 18 servings, if 2 of the servings are the horn pops — there’s plenty of frosting here though so you might get more servings out of it. It will make a little more than 2 dozen cupcakes; with cupcakes you can use purple liners and make all the frosting chocolate, or peel off the liners, split them in half horizontally and put a layer of purple frosting in the middle if you want them to look like mini versions of the game cake. 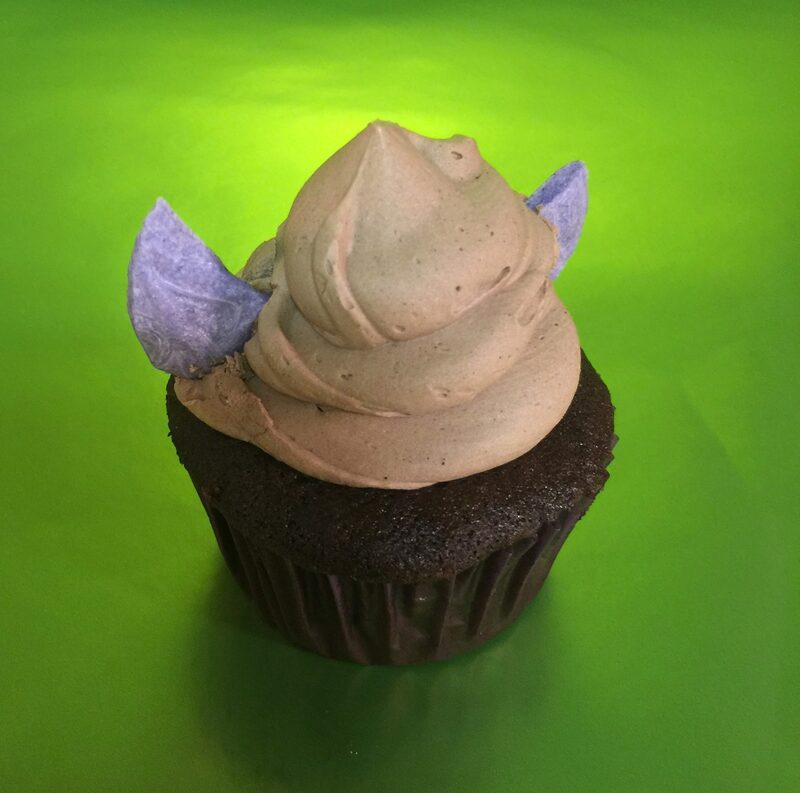 I made little flat horns for mine by drizzling candy coating in rough triangles onto wax paper, freezing them, and sticking them into the frosting.